Feel free to use Email for quick responses, until late evenings. 21 Your proposal "Internationalisation sandbox"
26 Please join us for Biology Week! I have been working intensely on the Vitamin C page and left the metabolic syndrome with many deficiencies... The reason why I put the MS article aside for a while? Several competing definitions of metabolic syndrome are in use, and each is differently linked to the presence of insulin resistance. These definitions include that of the National Cholesterol Education Program (NCEP) Third Adult Treatment Panel (ATP III) (2), the International Diabetes Federation (IDF) (3), and the European Group for the Study of Insulin Resistance (EGIR) (4). The EGIR definition requires the presence of insulin resistance plus any two other metabolic traits; ATP III and IDF definitions require at least three metabolic traits but do not require the presence of insulin resistance. In studies of ATP III metabolic syndrome, as many as half of subjects do not have insulin resistance (5–7). Impact of Insulin Resistance on Risk of Type 2 Diabetes and Cardiovascular Disease in People With Metabolic Syndrome. James B. Meigs & al, Diabetes Care 30:1219-1225, 2007. I don't like that. This reminds me of some nightmares I went through as a terminologist. I think that I'll leave MS (and other "clusters" for that matter) for a while and focus on insulin (resistance), ascorbate, SOD, oxidative stress, magnesium, potassium, exercise, adipocyte, many other things, but mostly basic building blocks of knowledge. I seriously consider the idea that the metabolic syndrome page should be a very concise page describing the current disagreement and pointing to related pages: insulin resistance, CHD, hypertension, etc. There might be no other way to be objective. I'm getting a little worried about what people are going to think about quebecers... Let's write articles about Celine, Cirque du Soleil and Denys Arcand! Quick! I think this is some about anonce for "together week-work on the article"
To fully comprehend the special perception that vitamin C enjoys, we must understand the role of Linus Pauling, one of the principal founders of modern chemistry, in the dissemination and popularization of information about this molecule. Pauling, a two-time Nobel Prize winner who had received worldwide praise for his work on a common metabolic disease, sickle cell anemia, struggled for the recognition of an even more common metabolic disease, which was termed by OMIM our "public inborn error of metabolism." The response of the medical profession, by Pauling's account, was "astonishing." From being perhaps the major figure in modern chemistry, Pauling suddenly became, in the eyes of some, little more than a well-meaning but misguided eccentric or even a quack. Meanwhile, masses began to follow Pauling's advice in what became one of the most important movements of citizen science; when asked how to assess the value of the safety warnings and the skeptical responses issued by medical authorities, he responded: "I would trust the biochemistry of a goat over the advice of a doctor." 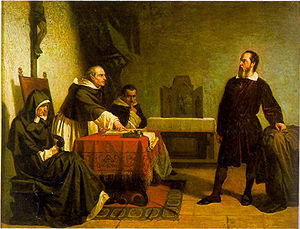 Galileo, a "dangerous enemy" of the elites, committed the crime of writing for the masses. Of course, (speaking directly to the public) was precisely the course followed by many of the proponents of the benefits of micronutrients, the most famous of whom was Linus Pauling, the chemist who intruded into clinical matters. It is instructive to reread the review articles and editorials published in the 1970s ridiculing and condemning the ideas of Pauling. He was treated as a dangerous enemy, although a few years before his death, like Galileo, he was rehabilitated to the status of a genius with controversial ideas. In effect, Pauling initiated one of the most significant critiques of the medical institution, perhaps even greater than Ivan Illich's critique. By his own admission, Pauling's impetus was to communicate, as an educated citizen, the knowledge amassed by Irwin Stone, Abram Hoffer, Frederick Klenner and others before him. Pauling's "telescope" was his ability to read the literature that had been ignored by what could be called the pathocentric paradigm. As man has spread over the earth and increased in number, the supplies of ascorbic acid have decreased. It is possible that most people in the world receive only one or two percent of the amounts of ascorbic acid that would keep them in the best of health. The resulting hypoascorbemia may be responsible for many of the illnesses that plague mankind. The medical profession itself took a very narrow and wrong view. Lack of ascorbic acid caused scurvy, so if there was no scurvy there was no lack of ascorbic acid. Nothing could be clearer than this. The only trouble was that scurvy is not a first symptom of lack but a final collapse, a premortal syndrome, and there is a very wide gap between scurvy and full health. But nobody knows what full health is! This could be found out by wide statistical studies, but there is no organization which could and would arrange such studies. While the debate about the most "luminously controversial of all biological, alternative cancer therapies" is slowly resolving, and as Pauling is regaining his reputation, the philosophical questions raised by the Nobel laureates, that every Human may ask, remain largely unaddressed: where is man coming from? what is health? Evidence-based medicine and the randomized controlled trial (RCT) are intended to free clinical practice from the empire of opinion. Moertel, who conducted the two RCTs designed to assess Pauling and Cameron's claims about vitamin C, anticancer effects, described himself as a researcher combatting/... "uncontrolled quackery", According to Pauling, who, like Jungeblut, tried to help his colleague, Moertel was unwilling to replicate the study. To be revised: "crude EBM practitioners (going) about using their favorite RCTs as clubs with which to beat up their supposedly less-informed colleagues." Still today, randomized controlled trials of controversial methodology abound, and allow "crude EBM practicioners" chasing quackery and self-medication to "avoid blame by wrapping themselves in the EBM mantle." Scientific criticisms based on strong pharmacokinetic evidence are responded to with non-scientific non-arguments ("(we are not) persuaded by the arguments of (...) critics that frequent large doses would necessarily result in substantially greater benefits"): in a paradoxical turn of events, the very behaviour that EBM was intended to minimize, guess work, is magnified and swiftly transmitted to the mass media as uncorruptible truth emanating from the golden standard of biomedical sciences. The mass media, in turn, shape the opinion of the only stakeholders in vitamin C research, the citizens, who gradually cease to reclaim more research and abdicate to private interests the duty to determine what is best for them. And, since "the large quantities of trial data required to meet the standards of evidence based medicine are available for relatively few interventions" this restrictive or "crude" version of evidence-based medicine" does "introduce a systematic bias, resulting in allocation of resources to those treatments for which there is rigorous evidence of effectiveness, or towards those for which there are funds available to show effectiveness (such as new pharmaceutical agents)." and "impinges on the ethical principle of justice." Citizens, philosophers of sciences and ethicists have been called to duty in the struggle for accountability in biomedical sciences. The contestation of EBM, which is reaching unprecedented intensity, is increasingly involving citizens and expert patients, as well as doctors who decide to publicly express their fear that "the next generation of doctors (is) being conditioned to function like a well-programmed computer that operates within a strict binary framework". As noted above (see Therapeutic uses, Cancer), the study of vitamin C pharmacokinetics not only triggered changes in the recommended dietary allowance of this vitamin, but it also raised interest in the cancer-killing properties of the molecule when it is administered intravenously. Once again, however, a closer look at the past will allow to open "new" (forgotten) therapeutic perspectives. Levine declared, "Nobody ever realized the difference between intravenous and oral. It's a huge difference. It's a medical-student, pharmacology 101 kind of error" and underlined that it was justified to reopen the case about vitamin C in cancer because we are now aware of this "pharmacology 101 kind of error" that Pauling and Moertel altogether had committed. However, a co-author of the same pharmacokinetic study disagrees: although Levine does not question the quality of the Mayo clinic study (and questions the value of Pauling and Cameron's study), Hugh Riordan declares the opposite: "The Mayo Clinic studies were done with the accepted experimental design used to clarify initial observations but did not truly replicate the Cameron and Pauling studies (used a lesser dosage,less time). This issue has been reviewed elsewhere (note: in Richardson, 1987 )." In other words, Riordan co-signed a government-funded research where it is said that Pauling and Moertel were both wrong and that oral vitamin C is uneffective, but declares in another journal, with different co-authors and independently (practically at the same time), that oral administration is not wrong per se, but that Mayo clinic's studies were, and refers to the famous sociological inquiry by Richardson published 15 years before to justify his claim. Manifestly, self-medication with (oral) vitamin C remains a politically sensitive issue. These acerola cherries contain more than 20 times more vitamin C than oranges by weight, and allow to reproduce the daily intake of other Higher Primates. According to current governemental recommendations, these doses (which are generally consumed in pill form) are "megadoses" and are either useless or dangerous. In less favoured countries, the fear that the population could follow Pauling and colleagues and self-medicate with vitamin C is inexistant. While the myth that gram amounts of vitamin C are "megadoses" can be perpetuated in Northern countries where vitamin-C rich fruits are less common (worthy of note, rose hips, contain 20 times more vitamin C than commonly available fruits), in Southern Countries, fruits that provide such primate doses of vitamin C can be easily accessed. For instance, in Brazil, the nutritional data of a popular and affordable acerola juice indicates a content of vitamin C equivalent to 15720 % of the RDA per bottle (3144 % of the RDA per 100 ml). It is thus entirely possible that populations could raise their vitamin C intake by almost two orders of magnitude, without having to wait for any special permission or further costly studies. The majority or trials with vitamin C use doses that are inferior to primate doses (less than a few grams, often a gram or less) and do not follow the proper dosing schedule (one or two admnistrations a day). Nonetheless, those are called trials of "high doses" because, from an anthropocentric and medicocentric point of view, these are doses that can only be afforded by the self-medicating populace -- galvanized by Pauling and his followers. Independent researchers will interpret the data for what they are worth, and take trials by Cathcart, Klenner, and others as the best currently available evidence. The fact that these authors were not made popular by the medico-academic industrial complex, is an interesting sociopolitical consideration, but it is not relevant in the assessment of vitamin C's therapeutic value. The advent of open access journals and, of course, authoritative online resources such as the Citizendium, allow researchers to bypass the taboos imposed by publishing conglomerates where conflict of interests, by their own admission, is the rule rather than the exception. It is interesting to note that the critique of the most recent meta-analyses on vitamin C in the common cold has entered the scientific discourse by the door of a PLoS (Public Library of Sciences) journal. Steve Hickey later blowed the whistle about the fact that the Journal of Orthomolecular Medicine, where Pauling and others published, is still rejected from the National Library of Medicine database, PubMed, with no valid explanations given by the referees of the database (ref,ref). The clinical and investigative works of Cathcart, Klenner, Jungeblut were made in a context of scarcity of resources that is not unlike the context in which the majority of clinicians throughout the world perform their work. The open access movement in sciences is viewed as an opportunity for clinicians and researchers to enter the scientific discourse by bypassing the systematic bias favouring the research agendas of developed countries(ref). A major part of the world's burden of disease and of world's mortality is represented by infant deaths. Multitudes of clinicians and researchers from the Third World and other poorer countries will be interested to know how Frederick Klenner was able to achieve an exceptional record in this respect (ref + cf obstetrics and gynaecology), in a context quite similar to present-day Africa and Asia -- in the post-segregationist United States. ↑ Narrative - Page 42 - It's in the Blood! : A Documentary History of Linus Pauling, Hemoglobin and Sickle Cell Anemia - Special Collections - Oregon State University. Retrieved on 2007-11-25. ↑ 2.0 2.1 Goodwin JS, Tangum MR (1998). "Battling quackery: attitudes about micronutrient supplements in American academic medicine". Arch. Intern. Med. 158 (20): 2187–91. PMID 9818798. ↑ Comic featuring Linus Pauling in the lab. It's in the Blood! A Documentary History of Linus Pauling, Hemoglobin and Sickle Cell Anemia. Retrieved on 2007-11-25. ↑ Brody H & al. (2005). "Evidence-based medicine: watching out for its friends". Perspect. Biol. Med. 48 (4): 570–84. DOI:10.1353/pbm.2005.0085. PMID 16227668. Research Blogging. ↑ 7.0 7.1 The Politics of Therapeutic Evaluation: The Vitamin C and Cancer Controversy -- Richards 18 (4): 653 -- Social Studies of Science. Retrieved on 2007-12-09. ↑ BRODY Howard ; MILLER Franklin G. ; BOGDAN-LOVIS Elizabeth (2005). "Evidence-based medicine : watching out for its friends". Perspectives in biology and medicine 48 (4): 570-584. ↑ Miles A, Loughlin M, Polychronis A (2007). "Medicine and evidence: knowledge and action in clinical practice". J Eval Clin Pract 13 (4): 481–503. DOI:10.1111/j.1365-2753.2007.00923.x. PMID 17683283. Research Blogging. ↑ Groopman, Jerome E.. How Doctors Think. Houghton Mifflin Company. ISBN 0-618-61003-0. , quoted in Miles & al, 2007. ↑ González MJ, Miranda-Massari JR, Mora EM, et al (2005). "Orthomolecular oncology review: ascorbic acid and cancer 25 years later". Integr Cancer Ther 4 (1): 32–44. DOI:10.1177/1534735404273861. PMID 15695476. Research Blogging. The initial version of the vit C page sections being worked on can be found here. Hi Pierre-Alain — Your neighbourhood Mistress of Ceremonies here. Don’t forget to come on over to the party and sign in at one of the categories! Aleta Curry 16:39, 9 January 2008 (CST) say ‘hi’ to me here. see if you approve. Feel free to change it as you see fit, I don't want to step on your toes. I'm taking care of the mailings, and I've made the link at the Forum more prominent, I hope. ...and when you Euro kids wake, Pierre-Alain, it'll be Wednesday. Do you think the Breast Cancer Fund would allow CZ to reproduce the "Executive Summary" of their State of the Evidence 2008 report as an Addendum subpage to the section on environmental factors in our Breast cancer article, with the link to the full-report as above? Do you have the contacts that would allow you to explore that? If not an Addendum subpage, perhaps a Signed Article subpage, "Edited by Janet Gray, Ph.D., for the Breast Cancer Fund", again with the link to the site and full-report. If they okay it, I'd volunteer to do the mechanics of getting it up on CZ. Pierre-Alain, thanks for calling your Obesity article to my attention. Well done, well-referenced. I will read more carefully a second time soon and try to make specific comments. You may know I started a subsection on obesity in Evolutionary medicine — http://en.citizendium.org/wiki?title=Evolutionary_medicine&action=edit&section=6. I haven't worked on it in a while. You stimulate me to get back to it. I am wondering if you know when the Executive Committee will decide or not to follow your proposal to launch international initiatives. Merci d'avance pour ta réponse camarade. Pierre, thanx for your contributions to the homeopathy article! I saw your reference to that new movie on THE MYSTERY OF WATER. Have you seen it yet? Does it mention or highlight homeopathy? How long is it? In reference to the homeopathy article, as much as I am personally intrigued by Emoto's work, I do not believe that it has a place in the homeopathy article until there is some type of formal research on it. I think that Martin's contribution was quite useful. I will reference to the Work of Peter Morell (historian of medicine, with training in homeopathy and conventional biology), "Hahnemann and Homoeopathy".